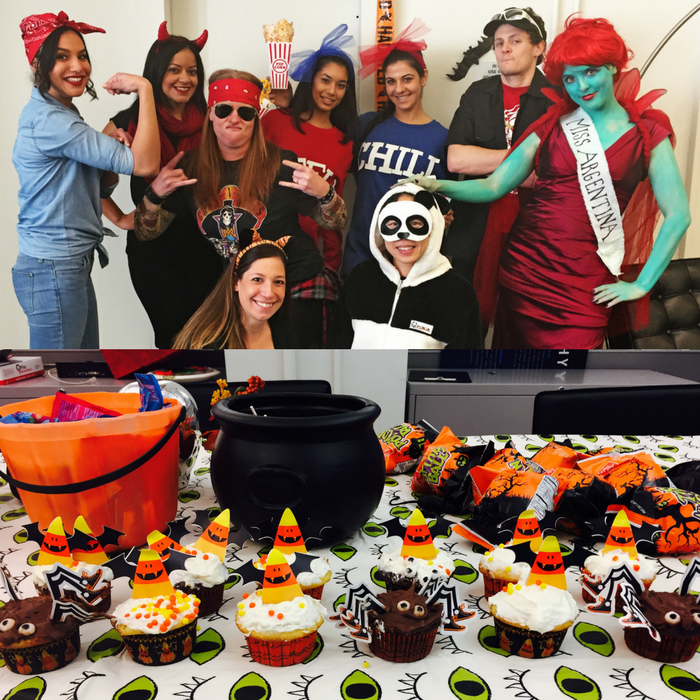 From Florida to New York to Las Vegas, EBG team members pulled out all the stops to celebrate Halloween with fun, fun and more FUN. Spooky haunted houses, creative costumes, carved pumpkins and a superfluous amount of sweet treats set the scene as employees “trick and treated” their way into the busy work week. 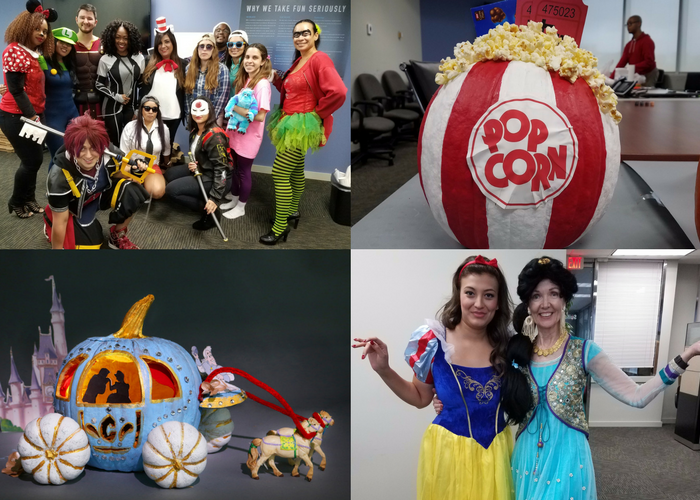 Employees in each office dressed in a variety of creative, entertaining costumes with the hope of winning the grand prize in our annual costume contest. 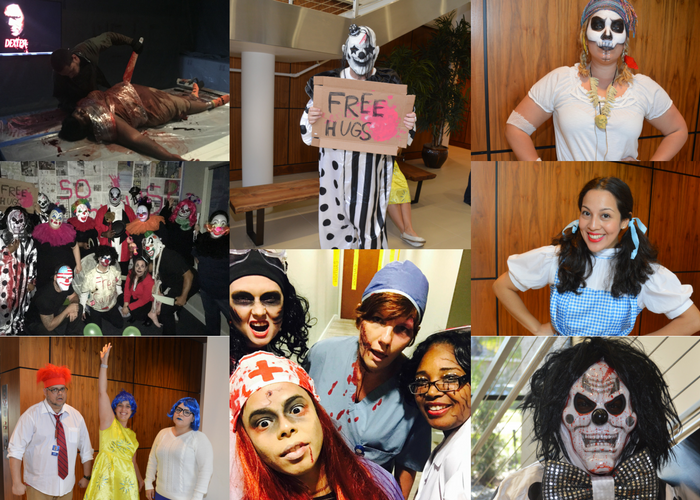 In Aventura, the team kicked off Halloween festivities a week early hosting the office’s 2nd Annual Spirit Week. 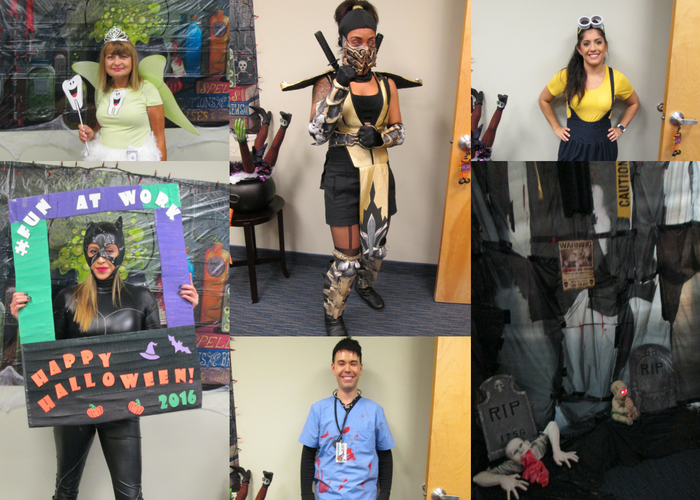 Each day employees were tasked with dressing up based on a particular theme. What’s the best way to show team spirit? Wear all your company colors, of course. EBG color day started off Spirit Week and employees sported looks that matched our brand. On Tuesday, it was all about rooting for the home team. 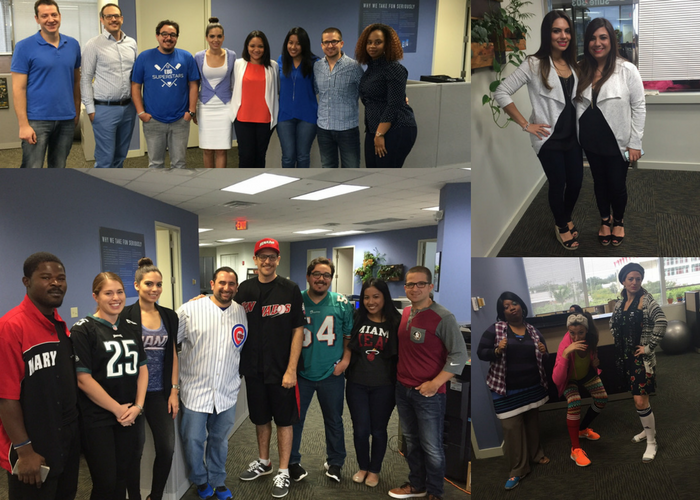 Friendly rivalry took place as team members dressed in attire that showcased their favorite sports teams. To further test teamwork skills, on Wednesday, employees were tasked with buddying up and coordinating outfits for twin day. Spirit Week would not be complete without a day dedicated to dressing nonsensically. Thursday was declared mismatch day and featured outfits ranging from silly to completely outrageous. The week concluded with a pumpkin carving contest. Each department got wildly creative, and designed some of the best pumpkins we’ve ever seen. The marketing team took home the win for their pumpkin carved into Cinderella’s horse and carriage. The festivities continued into Monday for Halloween as employees dressed up in delightful costumes that included dazzling Disney princesses, obnoxious frat boys, lovable storybook characters and legendary video game heroes. A little further north in Orlando, employees took Halloween gore to the next level dressing up in scary masks, bloody face paint and terrifying clown costumes.Team members had the opportunity to get their fill of Halloween frights as they dared to enter the indoor haunted house, which was built specially for the occassion. Lunch on the outdoor patio including great barbecue and sweet treats also highlighted the day. True to New York style, members of the team hastily indulged in yummy snacks and showed off their over-the-top costumes. ‘Miss Argentina’ of Beetlejuice and Axl Rose of Guns ‘n’ Roses battled it out for the chance to enter into the company-wide costume contest. Ultimately, ‘Miss Argentina’ stole the show and was voted office favorite. Out West in Las Vegas, the friendly competition forged ahead as employees participated in a haunted house building contest. From an American Horror Story-inspired scene to a creepy graveyard, imaginations ran wild and the results were SPOOK-tacular. No matter where we’re located, EBG team members are committed to taking fun seriously! Celebrating the holidays in a BIG way helps us come together as an organization. It also fosters team building and creates a positive work environment. How does your company celebrate? Check out more photos of the festivities here.